Bourne proved their T20 prowess by winning the Winkworth Cup for the third time in five years, defeating Woodhall Spa. Spa found the going difficult against some tight bowling and could only reach 117 for seven off their 20 overs, Ben Stroud the pick of the Bourne bowlers with two for 13 off four overs. 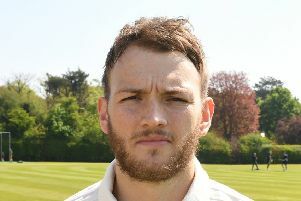 Jack Berry - who had also claimed two wickets - and Pete Morgan got Bourne off to a flying start and when Morgan was out for 36 , which came off 16 balls, Sam Evison joined Berry to take his side to a nine wicket victory, Berry with 36 off 21 balls and Evison 41 off 27. Bourne will now represent Lincolnshire in the Area Finals against the winners from theNottinghamshire, Derbyshire and the Yorkshire South Premier Leagues at a venue in Nottinghamshire to be announced later.